Reminder that the Ken and Ces Nominations close tonight at 8pm. 28th March 2018! As per the prospectus, P plate and ROF entries are ineligible to be compete due to the format. If you aren’t racing and wish to lend a hand please let me know ASAP so I can pass your details onto the Ken and Ces Committee. Thanks! KEN AND CES nominations close THIS WEDNESDAY the 28th of March @ 8pm. Don’t be the one to miss out on this meeting! Amazing prizes up for grabs! If you are staying for presentations which we hope you are please comment below or email Stacey – secretary@dtkc.com.au to advise how many BBQ packs you would like to order. If you are in need of a transponder for this meeting please put LOAN in the transponder number field. If you have already purchased one please ensure you put the number in. Members, Nominations for the club day 1 close tonight at 8PM….. Don’t be the one sitting on the sidelines watching! It’s that time of the year again folks, nominations are open for this year’s Ken and Ces Memorial. 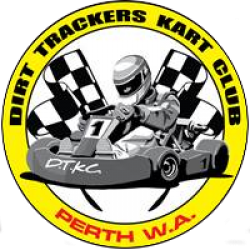 Fantastic prizes up for grabs in what is one of the best meetings on the calendar, celebrating dirt karting in WA! See the link below for the prospectus. AGM is also on Sunday 17th, All positions on the Executive will be open for next year. Nominations are now open for the 125 Heavy Trophy day. Nominations close at 8pm, Wednesday the 14th of June. KT lights are on duties and KT Mediums are on a bye. Nominations for the 2017 dirty double are now open: Two days racing, Two tracks – one weekend. Trophies are up for grabs for 1st, 2nd and 3rd over the two days. See the prospectus below for details! Nominations close at 8pm Wednesday the 31st of May – Late nominations will not be accepted! HEY KIDS, Finally it is here, the 2017 Kids Carnival Prospectus with all the fun bits of info for the weekend. Nomination close midnight Monday 1st May so jump on board now. Huge thanks to Dean Hembling from Loxton Kart Club for the awesome clown and artwork, Merger Contracting, Ellement Produce, Craig McIntyre Race Engines, Chamberlain Auto Electrics, Gingin Grassfed Beef, Janssen’s Transport Services, BCM, Domino’s Spearwood, Rockingham Milk & Dairy Supplies and DTKC. So start your colouring in, name our clown and get your noms in cos it is going to be epic!! !